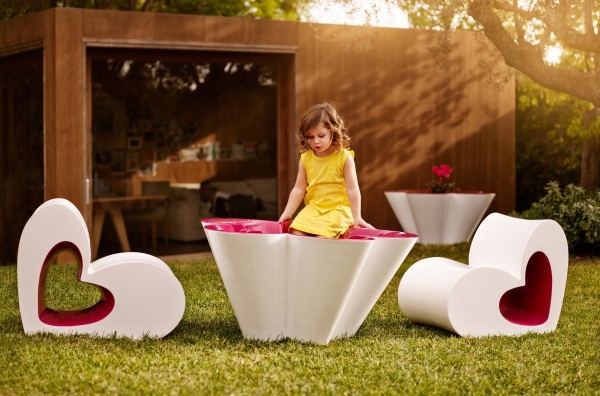 This cute kids’ furniture is a VONDOM collection by Agatha Ruiz de la Prada. 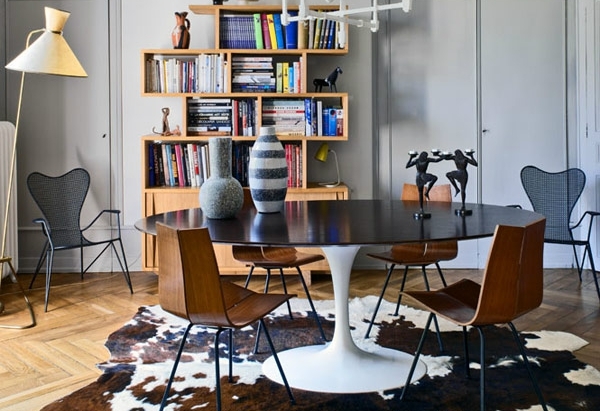 It takes the sleek and polished feel of modern design and adds a wonderful dose of playfulness and cheer, creating a lively and interesting collection. The collection is two pieces: the Agatha chair and the Agatha table, which doubles as the Agatha pot. 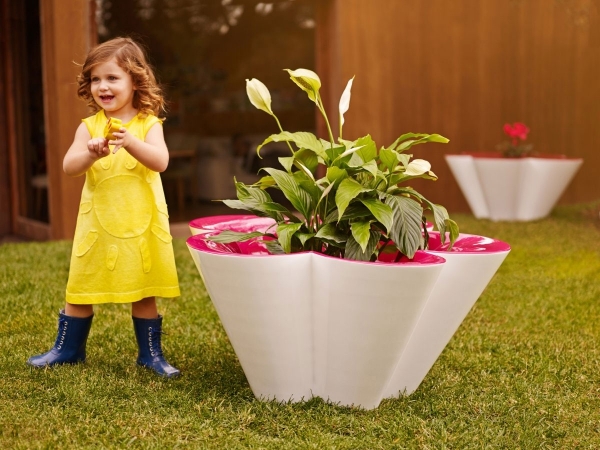 Made of resistant material, it’s suitable for both the indoors and the outdoors. 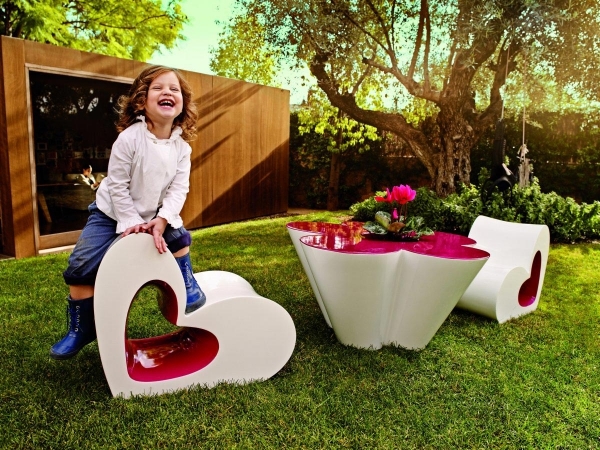 The Agatha chair takes the shape of a heart and it’s white on the outside and pink on the inside. The creative shape is absolutely fantastic, not only is it interesting, but it’s also charming. We love the curves. The Agatha table has a fabulous flower shape. The removable top of the table is pink and the exterior is white. It has an opening in the center which can be covered with a white top, creating the perfect place for an outdoor snack. We love this idea. Just stick the chips, carrots, or whatever the snack is for the day in the opening, and you’re good to go. No longer snacking? You can put the top on, effectively protecting the food, and your kids can come back to it when they want some more: adorable and functional. The Agatha pot is gorgeous and it’s perfect for your little gardener. If you remove the top, the inside has a deep opening making it a wonderful place for flowers and plants. This would also be a magnificent spot to store toys and any other items your child uses for play. We love the way this pot looks outdoors, it adds an exuberant feel to the exterior of the home. This cute kids’ furniture also comes in a bright purple and a bright yellow, making it possible to mix and match: absolutely fantastic. What do you think? Do you like this cute kids’ furniture?